Yesterday our church celebrated Palm Sunday. We remembered Jesus’ triumphant entry as He rides into Jerusalem on the back of donkey. Of course this is what Jesus does. A King enters in humility to the sounds of cheering voices, a shout of celebration and truth. now they beg Him to do this to theirs. But it doesn’t happen how we think it will, just like we didn’t expect Jesus to arrive on the back of a donkey. In the days leading up to Good Friday and Easter I do not want to forget to say Hosanna. 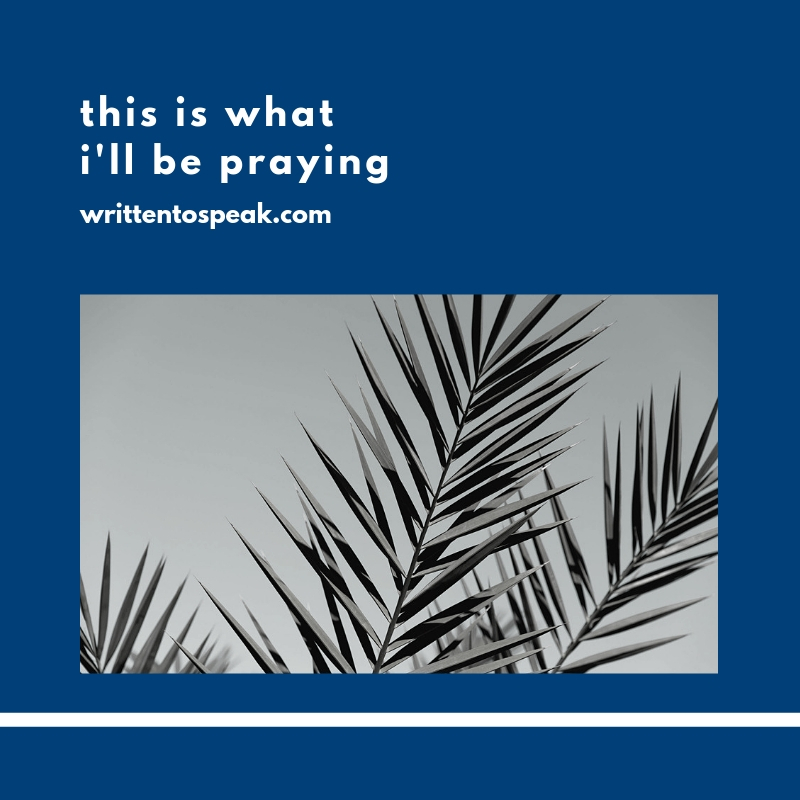 This week I’ll be praying Hosanna.